Murrieta’s Well Winery here in Livermore, California, is the perfect venue if you are looking for a rustic theme with breathtakingly beautiful views. 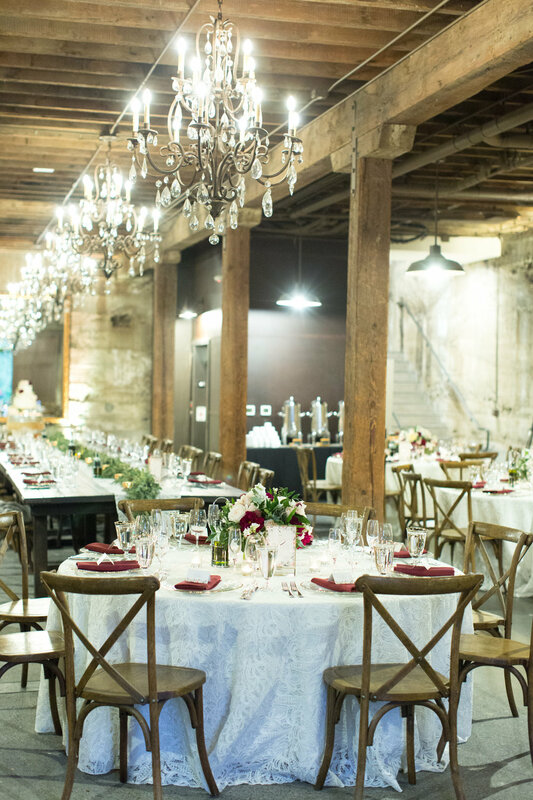 Our bride envisioned a simple, yet beautiful, rustic wedding, with pops of color. 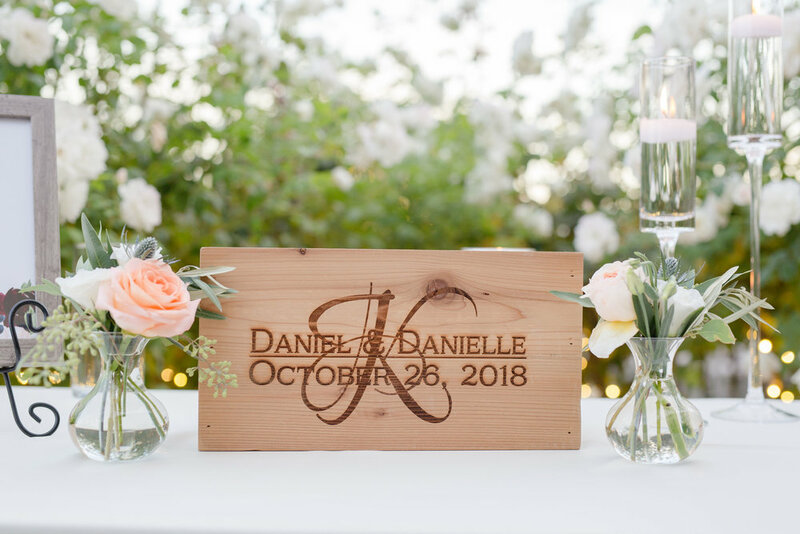 When you first enter the wedding, you are greeted by a unique glass welcome sign topped with a gorgeous eucalyptus garland with pops of burgundy and white flowers. 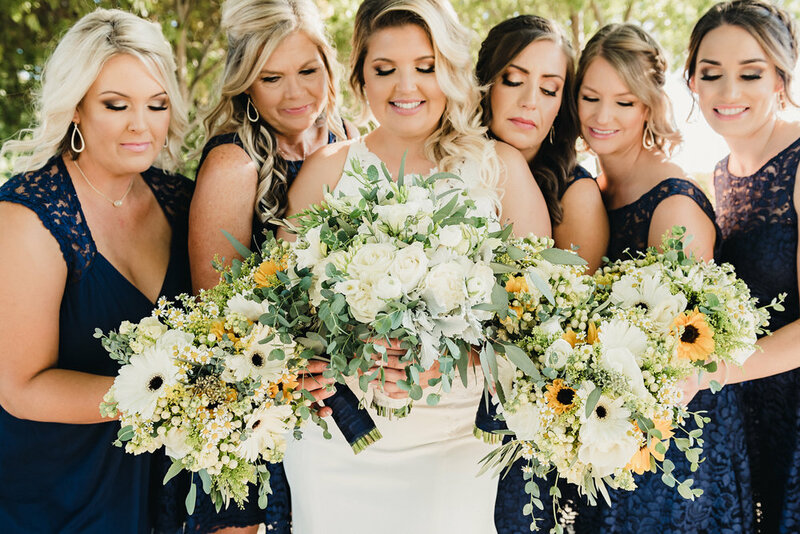 For the bride’s bouquet, we arranged a bohemian style pairing of white garden roses, dahlias, tea roses, with hints of ruscus, olive, and eucalyptus. For the bridesmaid bouquets, we created a smaller version of the brides’, adding in wine dahlias and red scabiosa to match their red cabernet dresses. The groom’s boutonniere was a white freesia with greenery. Above the rustic barn door at the altar, we hung a 26 foot eucalyptus garland with pops of burgundy and white flowers. 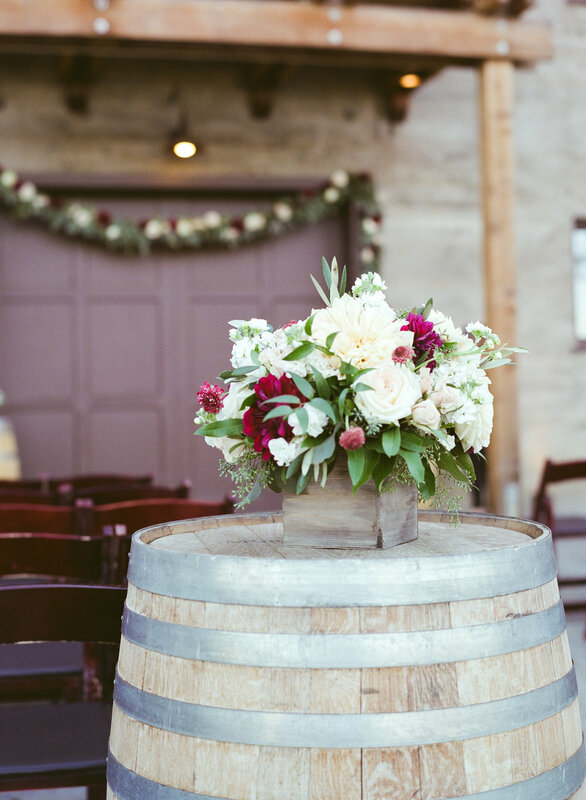 We also placed some of the reception centerpiece’s on barrels throughout the ceremony to cohesively tie everything together. The centerpieces were low lush arrangements sitting in a wood box, with lots of greenery and movement using whites, blush, and merlot florals. Lastly, we topped the wedding cake with a small cluster of wine and creme colored florals.